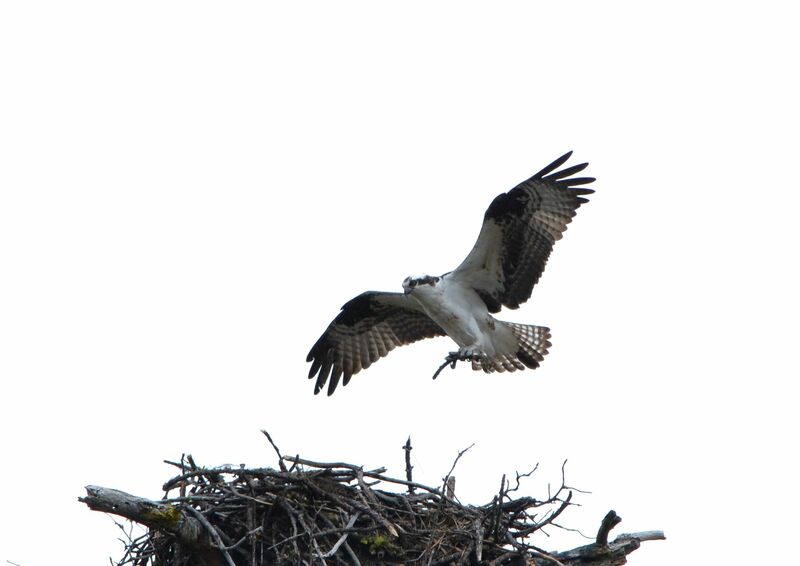 And the osprey (Pandion haliaetus) whose nest was used by the Canada geese (Branta canadensis)?? They reclaimed their nest (see Surprise Tenant 2) and are now redecorating the nursery. With luck, I will also be able to follow another generation of osprey on the ponderosa pine snag near Crystal Lake (Shasta County CA). This entry was posted in Birds and tagged Branta canadensis, Canada goose, nature photography, osprey, Pandion haliaetus. Bookmark the permalink.